Charming Cape Cod Style home in sought after Thorpshire Farms! 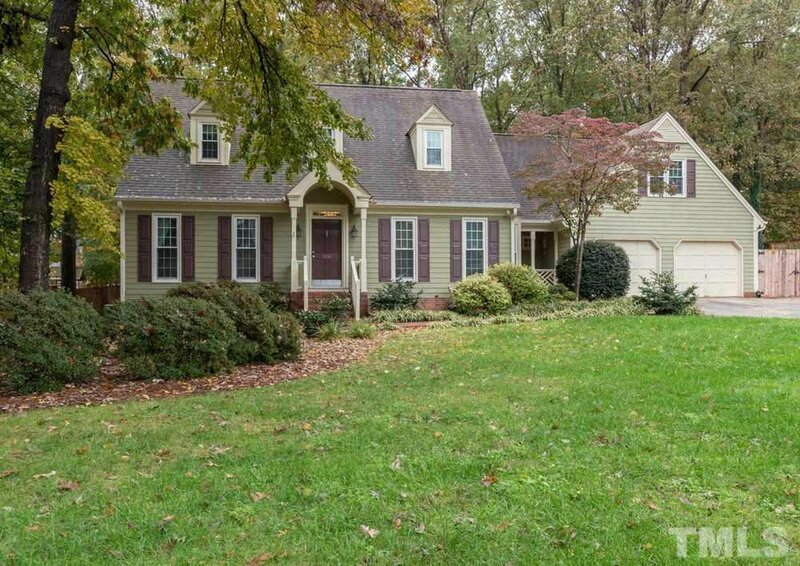 This home boasts newly refinished hardwood floors, built ins in family room, new windows, spacious bedrooms, bonus room with back stairs, granite in kitchen, oversized garage and large fenced in backyard, fiber cement siding. Location! Easy access to I540, shopping and restaurants. Wow, all of the charm of an established neighborhood but none of the worries!